I did something new again this weekend, when I braved the torrential Melbourne rain and reported in to Prahran Market for my first ever market tour. 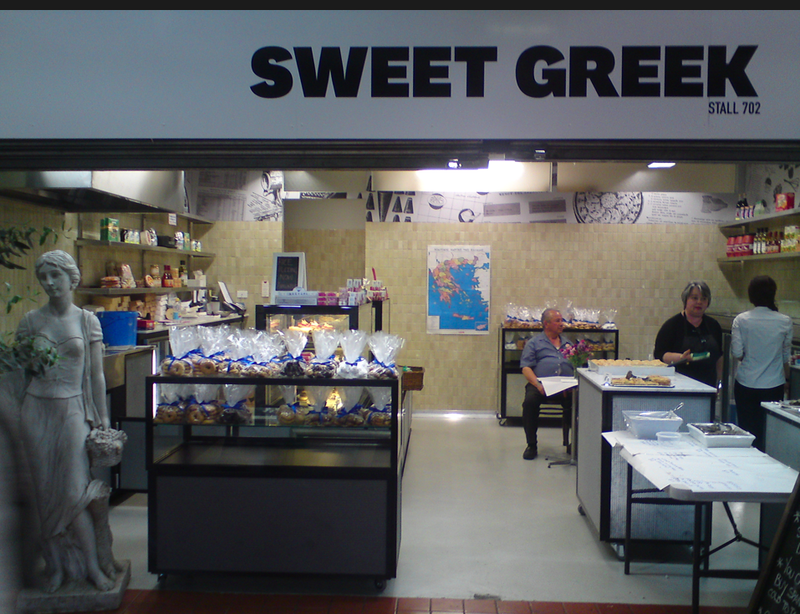 Matt and I used to shop at markets all the time, especially Prahran Market and South Melbourne Market and we loved it. There was nothing quite like the freshness, the discovery and the Saturday afternoon bargains. But I have to admit, since moving suburbs and having children,we’ve become a little out of practice when it comes to finding our way around the produce hall. I’ve missed it, and I didn’t realise quite how much until Giovanna showed me what I’d been missing. Led expertly by our tour guide Giovanna, a small band of eager market-goers and myself undertook to get to know Victoria’s oldest market just a little bit better. We were promised information, yummy tastings and an hour and half of enjoyment. We set off. The Hidden Gems Tour included a wonderful mixture of the old and the new, of history and practical tips for shopping the market; Donnally’s for pinatas, Market Lane for the coffee purist, Oliver and Co for gourmet olive oil and devine flavoured vinegars. My favourites stops on the tour; MJ Mow Gourmet Potatoes…every variety of potato you can think of, and all the accessories – spices, garlics and fresh wasabi. We had a chat with Michael, who gave me some great ideas for my next dinner party. I’ll admit, as interested as I was in what Michael was saying, I couldn’t help but be distracted by his red-brown dirt-stained hands, they reminded me so much of growing up on Tasmanian farms. In fact, the whole potatoey stall made me quite nostalgic. Next favourite; Damian Pike Wild Mushroom Specialist…I know, an unlikely favourite perhaps, but I love mushrooms and as Giovanna says: “Anything Damian doesn’t know about mushrooms, isn’t worth knowing” I bought the most interesting bag of mixed mushrooms and was absolutely smitten by the baby cauliflowers that Damian showed off proudly. Lastly, a real highlight of the tour for me, and the source of the delicious smoked trout that I’ve now got in my fridge for later in the week, is Put Victoria on Your Table. 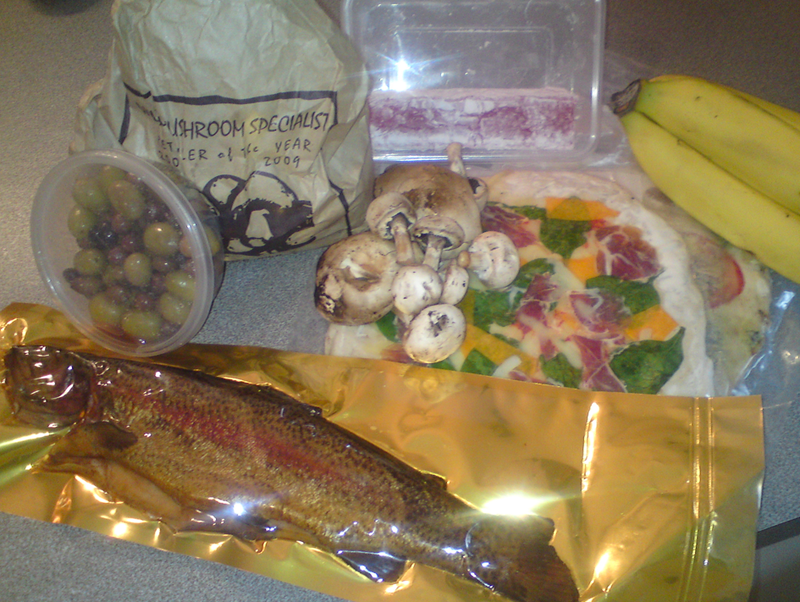 Jason shared his passion for all things Victorian, top-shelf produce from around the state. 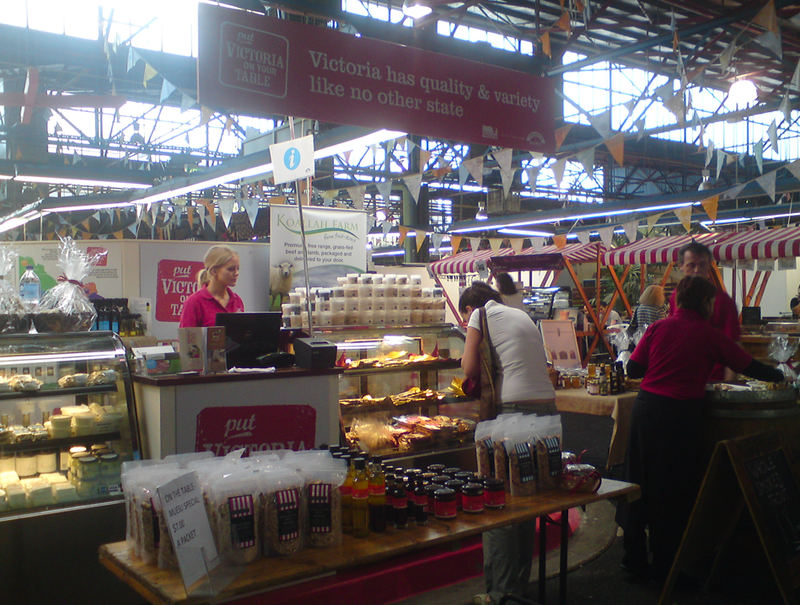 The stall itself is supported by the Victorian Government, and gives regional Victorian food producers a helping hand to bring their goods to the attention of a wider group of fans and businesses. So worth a look, it’s worth a trip to Prahran for it’s own sake. A new market can some times seem a little bit daunting – typically they’re busy, sometimes noisy and the variety seems at times overwhelming. It takes a while to get to know your way around, and to really discover the goodies that are available at each stall. The Prahran Market’s Hidden Gems Tour is a great way to get to know the market, to talk to the stall owners and to track down those tricky-to-find items like Black Apple Butter, organic coffee or Ostrich Eggs. I would highly recommend that you take a tour, maybe over the summer break, as both a fun afternoon out and as a way of making your future experience of the market more rewarding. 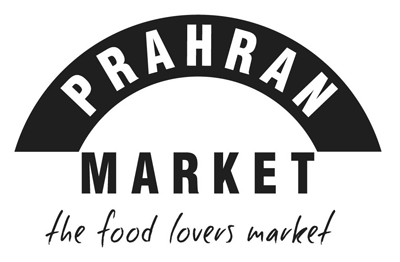 To find out more about Prahran Market Tours, visit their website. Here you’ll find details, times and vouchers. I’m really excited to be able to offer one of you lucky ducks the chance to win two Hidden Gem vouchers (valued at $50). …and tell us what would be the first thing you would buy on a trip to the market. The winner of this month’s competition (selected at random) will receive two Hidden Gem vouchers. Entries close Wednesday, 30 November 2011. The winner will have four days to claim their prize, or a redraw will be held. 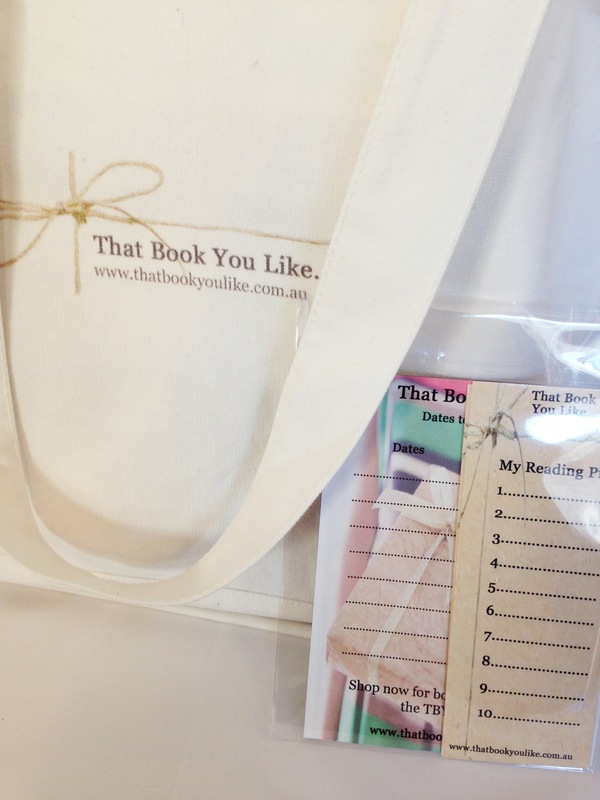 This month’s give-away is made possible by Prahran Market. For full details about the market, stalls and tours, visit their website here. I would buy lots of dips and sausage and cheese..all the yummy things to snack on! It is such a pleasurable place to be, even on a Saturday! Yum! Yum! Yum!! I also love that the market gives away so much food so those less fortunate can benefit rather than throwing it away!! They talked about that too on the tour, it’s a fantastic initiative – all food suppliers should do it I think! I ♥ The Prahran Market. Went earlier this year when they had the petting zoo for the kidlets. It reminds me so much of Europe. I love all the tastes and smells and hearing all different languages.